Microsoft has released some new promotional videos for the Microsoft Surface Pro 4 and the Microsoft Surface Book. The first few videos show people in creative jobs receiving one of these two new devices. The former is Microsoft's high-powered tablet, while the latter is a hybrid tablet/notebook. Receiving a freebie from the software giant is musician Kyle Landry, interior decorator Justina Blakeney, and photographer Ravi Vora. Also receiving a freebie from Microsoft is Corridor Digital. They are known for videos that are uploaded on YouTube. Heavily dependent on CGI, the company is given a Surface Book to use, which it employs immediately to help it produce a live action version of Grand Theft Auto. 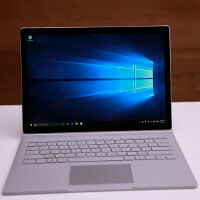 Over the weekend, Microsoft apologized for the frustrating experiences that some Microsoft Surface Pro 4 and Surface Book users have been going through, and plans on pushing out some more updates in the weeks ahead. If you own either device (even if it wasn't given to you free by Microsoft), keep an eye out for the notification telling you that the update has arrived. Feel free to check out the new promotional clips by clicking on the video slideshow below. The e best tablet and laptop 2015 and away from all competitor. Microsoft traces the path of future. With the success of the surface, the developers as should absolutely make versions of their Apps for Windows tablets if they do not want to miss the wave!